The Met Office helps you check if it's going to be sun, rain or snow at the weekend - but that's not all. Government and business rely on its data every day and it does vital work assessing the impact of climate change. 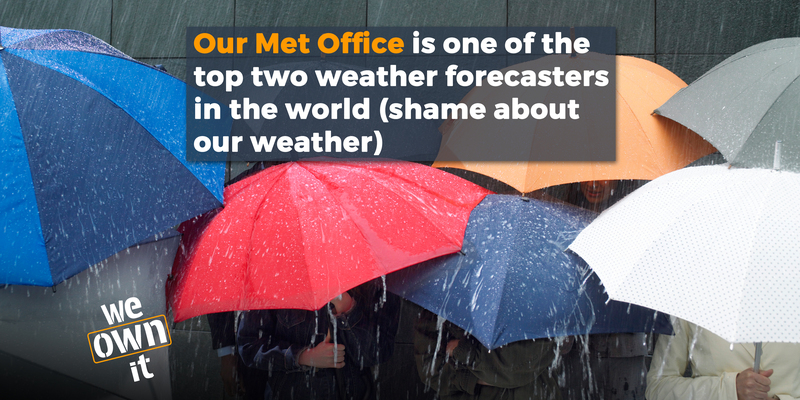 The Met Office helps the UK and other economies to prosper. Its data and advice help a wide range of organisations in areas such as health, transport and defence. Met Office predictions help local authorities respond to winter weather and they help the NHS to predict patient numbers. It plays a lead role in forecasting and researching climate change and the impact this will have. Is the Met Office under threat? The Met Office has had a contract to provide the BBC weather forecast since 1922. Now this contract has been given to the business MeteoGroup which is owned by the private equity group General Atlantic. Public money will be wasted on private shareholders. MeteoGroup was supposed to take over in mid-2017, but failed to get their act together in time, and the Met Office continued to provide the weather forecast for the BBC until March 2018. The Met Office is still a public body, and gets 85% of its income from public sector contracts. It will continue to provide the weather forecasts for ITV, but the loss of the BBC contract is a real blow. It feels like a politically motivated decision to undermine a national institution that we should cherish and protect. Show your support for public ownership - share this page!